The Ellis Island Honors Society is proud to be working with The American Immigrant Society on several exciting new projects and initiatives. 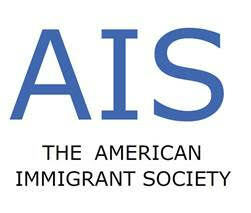 Be sure to follow us on Twitter at @EIHonors and AIS at @Iam1Immigrant to be kept up to date on our activities. ​The American Immigrant Society (AIS) wants to humanize, protect, celebrate, empower, promote, and inform over 81 million immigrant citizens, together with their children, of the US, comprising 1/4 of the population of the nation. The primary mission of the American Immigrant Society is to spread the undeniable message that immigrants are vital for the moral and economic prosperity of our nation. We do this through transformative 21st century digital means at every turn. Our ambition is to digitally link tens of millions of like-minded Americans who all naturally wish to eliminate prejudice or discrimination against American immigrants. The 501C3 nonprofit public charitable organization believes that immigration has benefited our nation greatly throughout its history by welcoming tens of millions of hard-working immigrants from over 150 countries. We will unite our nation’s major ethnic societies and facilitate collaboration among leading non-profits committed to improving our culture’s acceptance of immigrants. We foster positive, constructive discourse around immigration issues, and seek to provide reasonable options in dealing with the conundrum of undocumented immigration.